August 08, 2018, 8:40 a.m.
Last week, news was announced that Apple had become the world’s first trillion dollar company. It was a less positive week for Samsung, who announced its slowest profit growth in more than a year, despite launching the Galaxy S9 in February. The tech brand attributed the drop in profits to lower than expected sales of the flagship handset. Back in March I discussed Samsung’s rise in public perception directly after the launch of the new handsets. 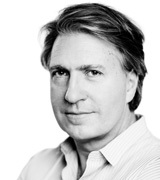 Initially, it looked like a positive story for Samsung, as our data recorded rises across its brand health metrics. Samsung has a higher brand impression than Apple. This may be due to the popularity of its Android platform (which has a significantly higher share of the market than iOS), or that is has not experienced the same negative headlines regarding tax affairs. However, YouGov BrandIndex data points to where the tech brand’s issues may lie. 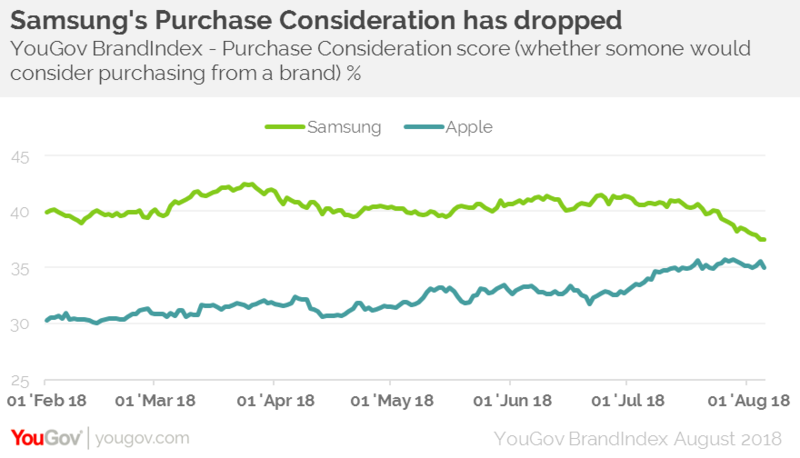 After the release of the S9, Samsung reached a peak of 43% in its Purchase Consideration score (whether someone would consider purchasing from the brand) by March 26th. However, since then, consideration has dropped to 37%. In contrast, Apple’s has risen from 30% to 36% within the same time frame. Nevertheless, Samsung Quality and Value scores (+28 and +18 points respectively) are strong, outstripping rival Apple (+32 and -9). One area in which Samsung has had competition is with regards to its camera. Cheaper entrants to the market such as Huawei and Xiaomi have contested the brand on this front. Our data shows smartphone owners are deciding to stick with their current handsets, switching to sim only contracts, rather than upgrading their phones – as many are happy with the standard of their current handset. According to YouGov’s Smartphone Mobile Internet Experience (SMIX) tracker, one in five (21%) smartphone owners are now classed as ‘mobile sleepers’, which is defined as those who have had their current handset for 24 months or more. In the future, Samsung may be looking to adapt its strategy, particularly with App related revenue drivers, to ensure that it remains appealing to not only potential customers but current users too.